At $50, Motion gives you a range of dynamic animation behaviors, real-time image processing filters, three-dimensional transforms and lighting, and ace chroma key features. In fact, for readers of this site working on live visual gigs, it’s even more ideal, perfect for dropping in assets and quickly whipping up eye candy – all the more so with a laptop-friendly UI and fast output even without a dedicated workstation. It could be that extra tool that allows you to put together quick motion assets for a live performance set. I like its MIDI features for hands-on control of visual compositions, though I’m not quite ready to go as far as using it as a live tool itself, even though I once saw a demo suggesting that. It’s just a nice, real-time visual engine. 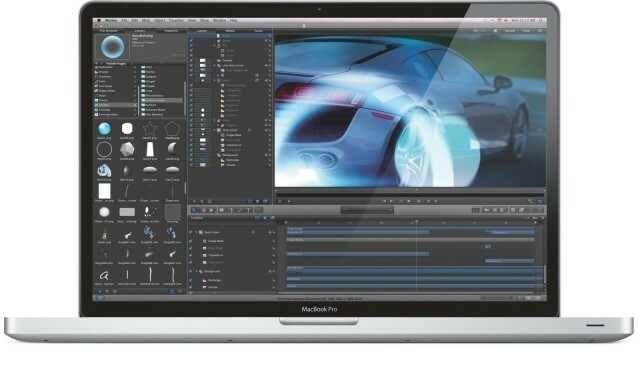 In other words, if you use Premiere, Vegas, Avid, Final Cut Pro 7, or anything else, you’re still staring a live, real-time, 3D, hardware-accelerated visual powerhouse in the face that costs only US$50. At that price, I can imagine even a lot of After Effects die-hards picking up the software. Now, don’t get me started on Final Cut’s magnetic timeline — not yet, anyway — but if you want to feel warm, fuzzy thoughts about having a Mac for visuals again, Motion could be your ticket. One final side note that didn’t make it into my Motion review, because for Macworld readers, it’s not nearly as relevant as it is for Create Digital Motion readers. Quartz Composer compositions are not directly supported in Motion, as with previous versions. Quartz Composer remains a terrific tool; it simply lacks the color calibration features and aspect ratio handling that Motion has. QC can be used with Motion, if you’re a developer – it’s supported as part of the FxPlug 2 SDK. But you don’t get the kind of drag-and-drop QC composition use you do with VJ apps like VDMX. That’s no worry: you can just make some visual work in Motion and export to video alongside QC work, then bring the two together in your visual set in a dedicated live visual app.